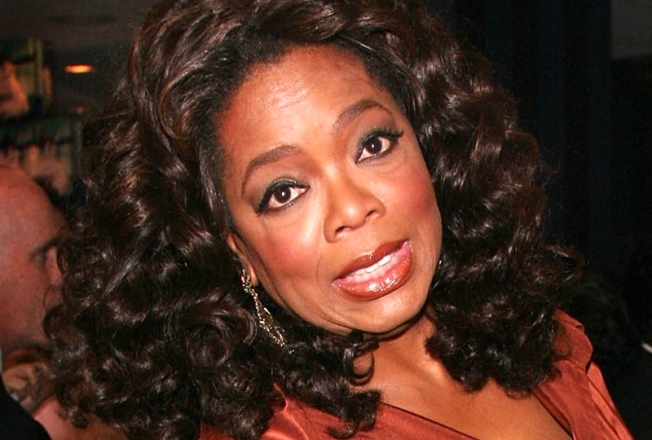 Oprah said she was left out of Sarah Palin's media rounds. Former vice-presidential candidate Sarah Palin has basically spoken in front of most cameras put before her. So why has she yet to appear on "The Oprah Winfrey Show"? Winfrey, who won’t be hosting her own ball for President-elect Barack Obama during the inauguration but will broadcast her show from D.C. that week, hasn’t forgotten about having the governor on. In fact, she seems surprised that Palin hasn’t come on the show yet, despite her efforts. "I said I would be happy to talk to Sarah Palin when the election was over," Winfrey told Extra. "I went and tried to talk to Sarah Palin and instead she talked to Greta Van Susteren. She talked to Matt Lauer. She talked to Larry King, but she didn't talk to me. But maybe she'll talk to me now that she has a book deal." Believe it, everyone: Britney Spears came to New York, made several appearances, had a birthday, hit a nightclub, went shopping with her kids, and nothing bad (or really even very interesting) happened to her or others around her. Since the good news often gets overlooked, I present to you two rumors about the pop star that actually have happy endings. Rumor #1: Britney changed her mind at the last minute about being at the Rockefeller Center Tree Lighting. Her appearance, like the other big A-listers, wasn’t meant to be live. The taping was always part of the schedule, and reports that she was less than cooperative are untrue as well. “She was nothing but sweet and so nice to everyone during the shoot,” says one person who was on hand for the taping of her spot. Rumor #2: Britney was miserable at her own birthday party. This just isn’t the case. Multiple sources confirm that Britney was “dancing until almost 1” with her friends, and when she wasn’t she was in an alcohol-free VIP area. In fact, it wasn’t just alcohol-free, it was caffeine-free — the only beverage spotted on the tables was Snapple antioxidant water. While a rep for Mariah denies the star is pregnant, insiders told Life & Style she is expecting. Although people have been throwing plenty of cash around at the movie theaters this year, don’t expect this weekend to be among the most impressive. Although “Frost/Nixon” is getting lots of buzz, it’s opening on only a handful of screens. The big release is “Punisher: War Zone,” from Lionsgate, which will open in more than 2,400 theaters. While that sounds like a lot, it’s likely not going to crack the top three at the box office. Look for “Four Christmases” to stay at number one, and barring any big upsets, “Twilight” and “Bolt” will round out the #2 and #3 spots.